Academician Guriy Ivanovich Marchuk is an eminent scientist, science organizer and citizen of his country, a founder of scientific schools in computing and applied mathematics that based fundamental concepts and methodologies of simulation in nuclear power engineering, in physics of atmosphere and ocean, in immunology and medicine. His many-sided activity has brightly reflected an epoch in developing of Soviet and Russian science, this epoch being of outstanding importance in the history of Russian state and society. Guriy Ivanovich was born in the family of rural teachers, at Volga. He got a brilliant education at the Leningrad University that was interrupted for army duty during the severe military years. His teachers were V.I.Smirnov and G.I.Petrashen, well-known mathematicians. In 1950, he published his first scientific work that dealt with the classical problem of elasticity theory that is the urgent subject nowadays. That was «About Lamb's problem in the case of semispace». In 1952, having moved at that time to Moscow, and having changed his scientific field, he had his PhD thesis presentation, named «Dynamics of large-scale fields of meteorological elements in baroclinic atmosphere» that was made with I.A.Kibel as his supervisor in the Geophysical Institute of AS USSR. In 1953, an appointment was made by a governmental decision for G.I.Marchuk to continue his work in the Institute of Physics and Technology that was subordinated to the USSR Atomic Energy State Committee and that was located in Obninsk, Kaluga region. Guriy Ivanovich was involved in the atomic project, however, later on his main task in the Mathematical Department of IPT he created became calculations of nuclear reactors for submarine fleet. The major state problem has been solved excellently, and in 1961, G.I.Marchuk with a group of scientists was awarded by the Lenin Prize. In 1956, Guriy Ivanovich has protected the thesis for his doctor's degree. Based on this work, he published in 1958 the book «Numerical calculation methods for nuclear reactors», that was translated to several languages. It was actually one of the first monographs in computational mathematics. In this book, as well as in other books of G.I.Marchuk on the nuclear subject (the total of 7) that were published later or independently, or co-authored with his disciples and colleagues (V.P.Kochergin, V.I.Lebedev, G.A.Mihaylov, V.V.Penenko, and others), he has laid the groundwork for mathematical models and methods that determined the research avenues in this field for decades on. These included multigroup description of neutron fields, spherical harmonics methods, the theory of conjugated equations for neutrons value, calculation algorithms for cross-section of nuclear reactions, etc. Starting from his first years of scientific and organizational activity G.I.Marchuk followed the principle «there is no scientist without his disciples». In Obninsk Branch of the Moscow Engineering Physics Institute, he organized and headed a sub-faculty of applied mathematics, where he red lectures and worked hard, similar to all his later life, with post-graduate students and scientific youth. In IPT, Guriy Ivanovich had at that time 13 protected candidates of sciences; many of them got a doctor's degree later. In 1962, academicians M.A.Lavrentev and S.L.Sobolev invited G.I.Marchuk to the Siberian Branch of AS USSR to organize the Computer center in the Novosibirsk Akademgorodok. The institute that was formally found on January 01, 1964 and that included about 1300 employees at its best time has played the unique role in developing the modern fields of computational mathematics and computer science. The institute was a forge shop for the staff and alma mater for many known scientists, scientific groups, and new institutes. Computer Center of SB AS USSR was a starting point for nearly 30 (!) directors of various scientific institutes and organizations. The institute was one of the symbols of Akademgorodok and a traditional place to invite numerous honored guests. Guriy Ivanovich has attracted such scientists as A.P.Ershov, M.M.Lavrentev, N.N.Yanenko, S.K.Godunov, A.S.Alekseev, and G.A.Mihaylov to CC of SB AS USSR. They have created afterwards world-rated schools of thought in computer science, in the theory of incorrect problems, in mechanics of continuous medium, in computational algebra, and methods of mathematical physics, in geophysics, and in algorithms of statistical simulation. The Siberian years of G.I.Marchuk were very fruitful regarding his personal creative successes. His mathematical findings on approximating procedures, on decomposition principles, on theory of iteration schemes, and other numerical methods provided the basis for many known monographs: «Methods of computational mathematics» (1973, multiply republished in different languages), «Iteration methods and square functionals» (1972, together with Yu.A.Kuznetsov), «Monte-Carlo methods in atmosphere optics» (1976, together with G.A.Mihaylov), «Enhancing the exactitude of solutions for difference schemes» (1979, together with V.V.Shaydurov), «Introduction to projection-network schemes» (1981, together with V.I.Agoshkov), «Methods of decomposition and variable directions» (1986). The cycle of works that was accomplished under supervising of G.I.Marchuk on development and application of statistical simulation methods to solve many-dimensional problems of radiation transfer theory got him being awarded with the State Premium in 1979. Guriy Ivanovich has created an outstanding school in physics of atmosphere and ocean, the kernel of which constituted I.V.But, L.N.Gutman, G.P.Kurbatkin, V.P.Kochergin he invited to Siberia and a large group of young enthusiasts. The outcomes G.I.Marchuk have obtained in the field of numerical methods for the problems of weather forecast and general circulation in the atmosphere are currently classical. He formulated also solution methods for the full equations of ocean thermo-hydrodynamics, the basis for which is main conservation laws and decomposition algorithms. He published monographs on these problems: «Numerical methods in weather forecast» (1967), «Numerical solutions for the dynamic problems of atmosphere and ocean» (1974), «Mathematical models of ocean circulation» (1980). In 1975, Guriy Ivanovich has been awarded with A.A.Fridman premium of AS USSR for a cycle of works in the field of hydrodynamic methods of weather forecast. 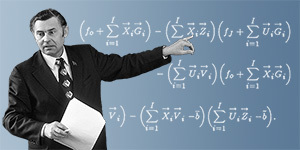 G.I.Marchuk formulated the basis of mathematical modelling in immunology. He created semiempirical models and identification methods for their parameters affording an opportunity to describe quantitatively the dynamics of the immune response of a human body to virus and bacterial infections. Guriy Ivanovich got M.V.Keldysh gold medal award for developing the new mathematical methods in immunology and medicine that were published in main papers and monographs («Mathematical models in immunology», 1980, 1985, «Chronic bronchitis: immunology, gravity assessment, clinic, treatment», 1995, together with E.P.Berbentsova). G.I.Marchuk fulfilled pioneer works in mathematical modelling of ecological processes in the environment. Within the limits of the given field, he offered basic formulations and solution methods for a variety of optimization problems, particularly, for the problem on an admissible area to arrange commercial manufacturers. For the works in the field of simulation of the environment, he has been awarded with A.P.Karpinskiy premium in 1988. G.I.Marchuk has great merits for a formative stage of Siberian computer science that holds world-best positions since 1960s. It was to a large measure Guriy Ivanovich's energy and personal initiative, his moral and organizational support, that young laboratory of A.P.Ershov grew into a big multi-field department, which transformed later into the Institute of Informatics Systems of SB RAS. Guriy Ivanovich created a school of uninterrupted preparation of top-skill professionals in computational mathematics and computer simulation. Its basis was a sub-faculty of the Novosibirsk State University that L.V.Kantorovich passed to him in 1964 and postgraduate study of Computer Center of SB AS. The disciples of G.I.Marchuk, namely V.A.Vasilenko, V.I.Drobyshevich, V.P.Ilyin, V.I.Kuzin, Yu.A.Kuznetsov, A.M.Matsokin, V.V.Penenko, became in a short time heads of laboratories and continued successfully the professional training, then Guriy Ivanovich's scholarly «grandsons». During the guide of Computer Center by G.I.Marchuk, it has been grown up the total of about 30 doctors of sciences. Talent of Guriy Ivanovich, inquisitive researcher, combined happily with the genius of scientific-and-organizational work, which was guaranteed by his personal human qualities and his inexhaustible energy. In 1969-75, he is a vice-president of the Siberian Branch of AS USSR, and since 1975, he is the successor of Mikhail Alekseevich Lavrentyev at the position of the SB AS USSR Chairman and vice-president of the Academy of Sciences of the USSR. The concept of the branch approach he founded and the national program «Siberia» have defined for many years the strategy to promote scientific achievements and the policy of interaction with regional economies. In 1980, G.I.Marchuk got the position of the SCST Chairman, the State Committee on Science and Technology, and the vice-president of the USSR Ministerial council. He moved to Moscow with scholarly «crew», a big group of young scientists (V.I.Agoshkov, V.P.Dymnikov, Yu.A.Kuznetsov and others, total of about 20 person). The group formed the basis for the Department of Computational Mathematics that was reorganized later in the Institute of Computational Mathematics of AS USSR. G.I.Marchuk has made much to strengthen the industrial branch scientific organizations and for their interaction with the academic institutes as well as for the development of the international cooperation, including that with the Council for Mutual Economic Aid of socialist countries. In 1986, G.I.Marchuk was elected the President of the USSR Academy of Sciences, and he stayed at this position until its reorganization into the Russian Academy of Sciences in 1991. It was during Guriy Ivanovich's stay on the higher supervising positions that the National Academy of Sciences became considerably stronger. It is his merit in a large extent that the subsidiaries of the Siberian Branch, as well as the Far East and Ural Branch of RAS developed. Scientific, pedagogical, and organizational activity of G.I.Marchuk was inseparable from his active involvement into the public and political life. Guriy Ivanovich was deeply convinced of the state urgency to develop fundamental and applied sciences and to promote their outcomes for the industrial production and agriculture. He published permanently publicistic and popular works in tens of the widely variable newspapers and magazines. The works subjects amaze with their variety, in-depth knowing of the material, and the emotional effect. The unique creative heritage of G.I.Marchuk constitute more than thirty monographs, several hundreds of learnt works, a great number of popular scientific publications, and very interesting memoir books as well as papers of public and civilian context. The latter ones deal with the most topical problems of scientific community; at the same time, they are of urgent importance for the entire country. The school of Guriy Ivanovich is hundreds of his disciples, scientific «grandsons» , and associates who develop modern-day directions of computing and applied mathematics, computer science, and mathematical modelling within the most widely scope of the human knowledge in numerous institutes and universities of Russia and in the near and far-abroad countries. Multi-sided scientific activity of Guriy Ivanovich has obtained a great national and world recognizing. He was the repeated winner of the State and personal scientific premiums, the winner of high governmental awards, the Socialist Labour Hero. G.I.Marchuk is elected the foreign member of 11 world academies. He has the rank of the honourable doctor in 8 universities of the world. * Source: Il'in V.P. Gurii Ivanovich Marchuk - uchyenyi i grazhdanin // Nauka v Sibiri. - 2013. - N 23 (13 iyunya). - S.4-5. Updated: Wed Feb 27 14:46:38 2019. Size: 19,356 bytes.